A key objective of Phase I dose escalation trials is to establish a recommended dose and/or schedule for an experimental drug or combination for further testing in Phase II. They balance avoiding unnecessary exposure of patients to subtherapeutic doses with maintaining safety and rapid enrolment. The decision criteria, such as treating future patients at the current estimated MTD or minimising the variance of the dose-response model parameters, would then be used to identify the next dose after the model is updated to take consideration of all available data from the trial. A set of safety constraints can be put in place to control the risk of overdosing the patients, for example pre-specifying a maximum dose increase. As statisticians, we love a bit of variation! A day in the life of a statistician at PHASTAR is no exception - depending on the stage of assigned projects and the nature of the studies we’re involved with, we could be providing input to the design of a study, calculating sample sizes, writing statistical analysis plans (SAPs), writing ADaM specifications, programming datasets, TLFs or efficacy analyses, or, providing expert statistical advice to our clients. At a more senior level, statisticians at PHASTAR may also have line management responsibilities and contribute to management initiatives. We may be involved with the project management of our studies, dealing with timelines, resource projections and interacting with clients. The following provides a glimpse into my life as a statistician working at PHASTAR, in the form of a diary describing a typical day. Meet PHASTAR in Boston & Cambridge! 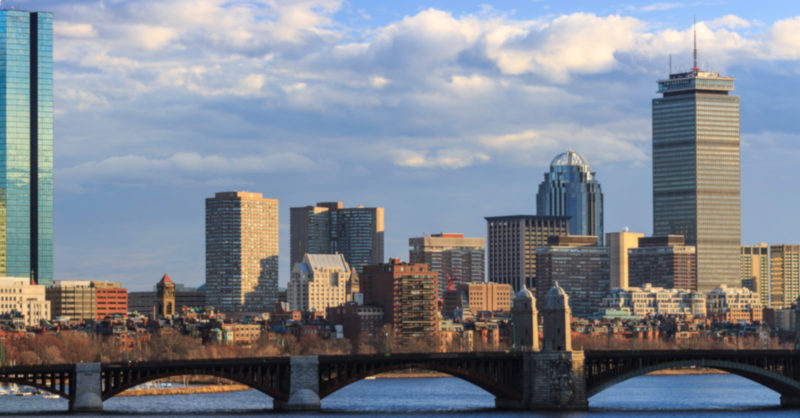 In celebration of PHASTAR’s new Boston office, Managing Director Andrew MacGarvey and Head of Customer and Business Strategy, Nadeem Elahi, will be with our Director of Biostatistics, Paul Stark, meeting clients in the area from Monday 25th February until Tuesday 5th March. As PHASTAR enters year two of its ambitious five-year growth plan, all eyes are firmly focused on Boston’s Life Science Corridor. PHASTAR is eager to meet with Pharmaceutical and Biotech companies who are looking to work with a global CRO offering statistical consulting, clinical trial reporting and data management services. We look forward to welcoming you to our new home in Boston! The PHASTAR team is looking forward to attend ACDM 2019, which takes place on 11-12th March in Amsterdam, Netherlands. 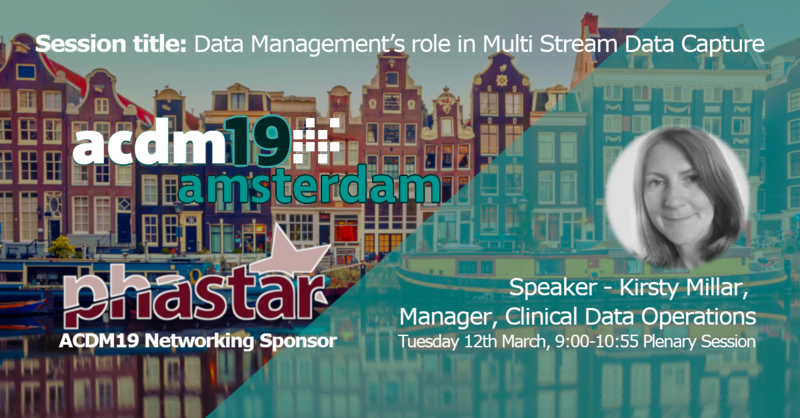 PHASTAR's Clinical Data Operations Manager, Kirsty Millar, is delighted to be presenting on Data Management's role in Multi Stream Data Capture during the 9:00-10:55 plenary session on day two of the conference (12th March). Also attending the conference is PHASTAR’s Managing Director, Andrew MacGarvey, and our business development team, all of whom are looking forward to meeting with current and potential customers at stand 1. Alongside this, PHASTAR has the pleasure of sponsoring ACDM’s Canal Dinner Cruise on 11th March. The cruise will travel through the canals of Amsterdam in the evening hours, experiencing the city at dusk. There will be a gourmet dinner prepared by award-winning chef Frans Kelders, with drinks included. The two-hour cruise will pass many points of interest including the Western Church and the Anne Frank House. 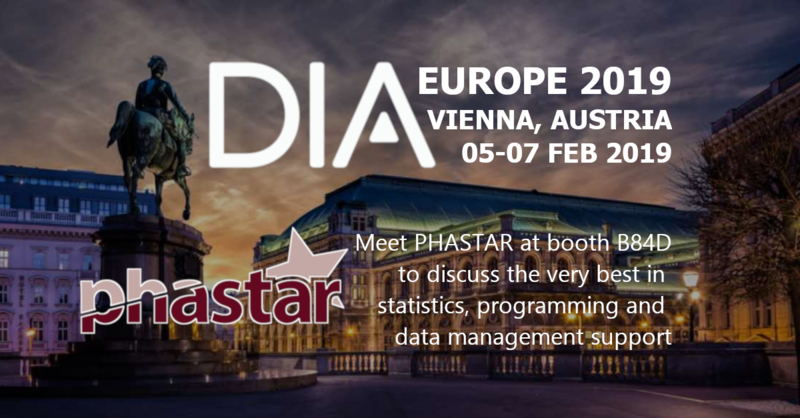 PHASTAR is delighted to be exhibiting at DIA Europe 2019, which runs from 5-7th February in Vienna, Austria. Kicking off our first conference of 2019, PHASTAR’s CEO, Managing Director and Business Development team are looking forward to meeting with current and potential customers at booth B84D. Whether you have projects you need help with, require additional statistics, programming or data management support, or simply want to learn more about PHASTAR’s award winning service offering, PHASTAR’s 220 experienced global staff are here to help.